For five decades, Jack Hynes was a popular anchor and reporter. Often called the Dean of Boston TV news, he set the standard for accuracy and credibility. Few Boston TV journalists have had a longer and more distinguished career than Jack Hynes. The son of John B. Hynes, the mayor of Boston in the 1950s, Jack chose a career in media rather than politics. He attended Notre Dame and it was there he met another soon-to-be Boston legend, Jess Cain. They moved to Boston, and briefly thought about becoming a team on radio, but Hynes ended up on TV instead and made a name for himself as one of Boston’s most respected reporters and anchors. Jack covered news the old-fashioned way: He went to the State House. He went to the neighborhoods. He went wherever the story was. 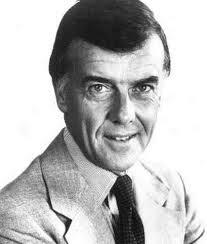 Much of his career was spent at Channel 5, where he worked for 26 years. After a brief time at Channel 4, he came to Channel 56, where he anchored the Ten o’Clock News for nearly 20 years. To this day, when people think of “credible” and “accurate,” they think of Hynes.